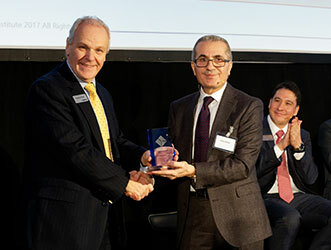 Raytheon UK secured the prestigious Investor in Innovations Award following an independent benchmarking and validation of its innovation capability. 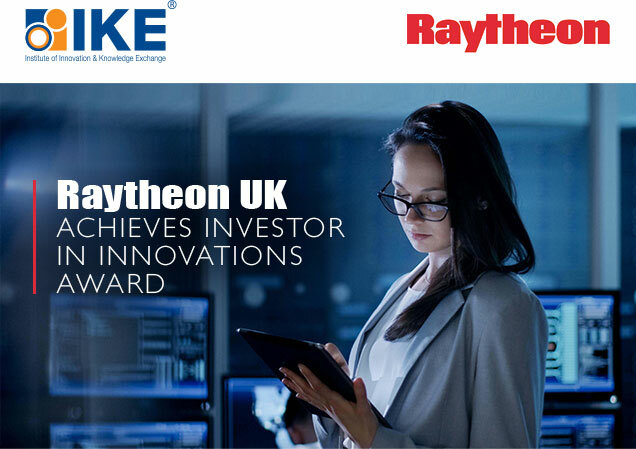 Deployed by the Institute of Innovation and Knowledge Exchange, the UK’s professional body for innovators, the innovation profile of Raytheon in the UK was assessed using the Investor in Innovations standard. The Investor in Innovations is an integrated, leading-edge standard that uses a structured and balanced framework to benchmark and validate an organisation’s innovation capability. It uses a practical process that helps organisations to drive growth by providing a clear action plan that enables the organisation to constructively align its innovation efforts with the direction of the business strategy. Combating the business-as-usual approach was high on Raytheon UK’s radar, as was recognising the highly unpredictable market conditions and the changeable customer and end-user expectations, together with the pace of technology confluence emanating from digital disruption. 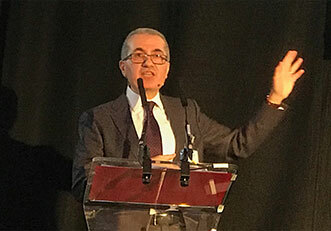 Prof Sa’ad Sam Medhat, IKE Institute CEO said: “Innovation is changing the business landscape as we know it. With technology maturing so quickly, the only response for businesses to this global dramatic shift is innovate faster and demonstrate competitive advantage. A truly authentic, ‘innovative company’ means embracing an honest and unambiguous vision of how you want your future business to be, matched by an unbiased understanding of your future capabilities and technology roadmaps. This ensures that you get the most value out of your products, services and assets. And, this is what the Assessment Panel saw at Raytheon UK during their independent validation. Raytheon UK is a subsidiary of Raytheon Company. It is a prime contractor and major supplier to the UK Ministry of Defence and has developed strong capabilities in mission systems integration in defence, national security and commercial markets. Raytheon UK also designs, develops and manufactures a range of high-technology electronic systems and software at facilities in Harlow, Glenrothes, Gloucester, Waddington, Broughton and Manchester. Raytheon Company, with 2016 sales of $24 billion and 63,000 employees, is a technology and innovation leader specializing in defence, civil government and cybersecurity solutions. With a history of innovation spanning 95 years, Raytheon provides state-of-the-art electronics, mission systems integration, C5I™ products and services, sensing, effects, and mission support for customers in more than 80 countries. Raytheon is headquartered in Waltham, Massachusetts. Follow us on Twitter @Raytheon. IKE Institute is the professional body for innovators in the UK. It accredits and certifies innovation practices, and confers the Investor in Innovations® standard and the IKE Assured®. The Institute influences the inter-relationship between education, business, and government through research and collaborative networks. Its work is guided by the Innovation Council, which brings together over forty C-suite business leaders representing different economic sectors. IKE’s Innovation Manifesto highlights its commitment to support the development of innovative people and organisations. In addition, the Institute has also a remit to accredit the skills in all the UK Nuclear Site Licenced Companies in partnership with NSAN. is an integrated, leading-edge Standard that offers a practical way for an organisation to assess, validate and benchmark its innovation capability. It uses a well-defined six-category Framework that brings together: strategy and alignment; organisational readiness; core capabilities, technologies and IP; industry foresight; customer awareness and impact and value. In addition, Investor in Innovations® is a business diagnostic, used to understand where an organisation is, and where it needs to be, from an innovation standpoint. A coherent Action Plan to close the innovation gap is a key outcome from this programme. Organisations such as BAE Systems (MAI), Thales UK and Panasonic (R&D) are Investor in Innovations organisations.